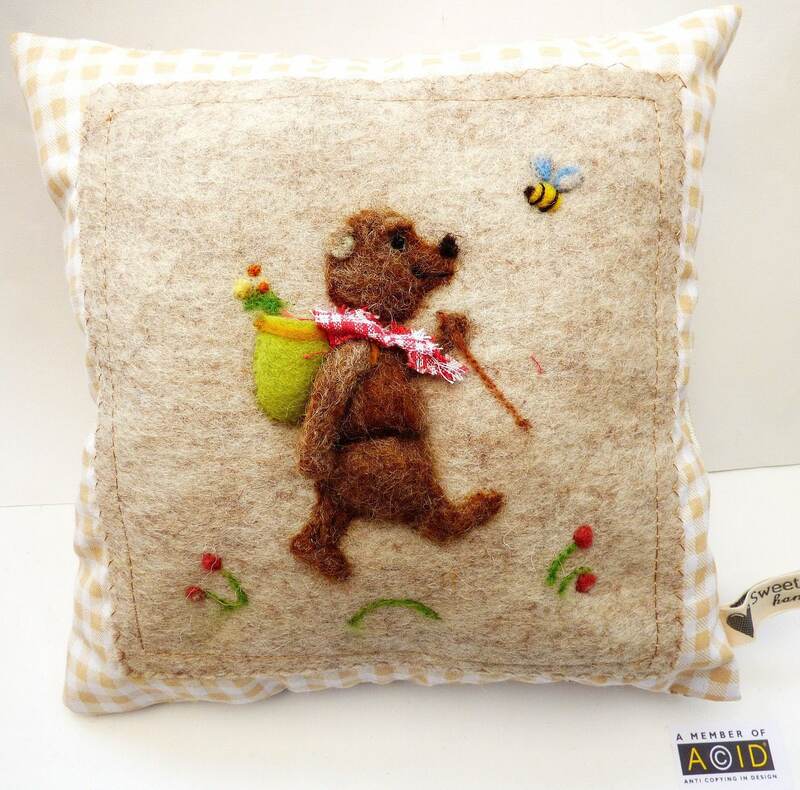 Needle felted hedghog pillow, kid's room -hedgehog be personalized girls and boys bedroom pillow. 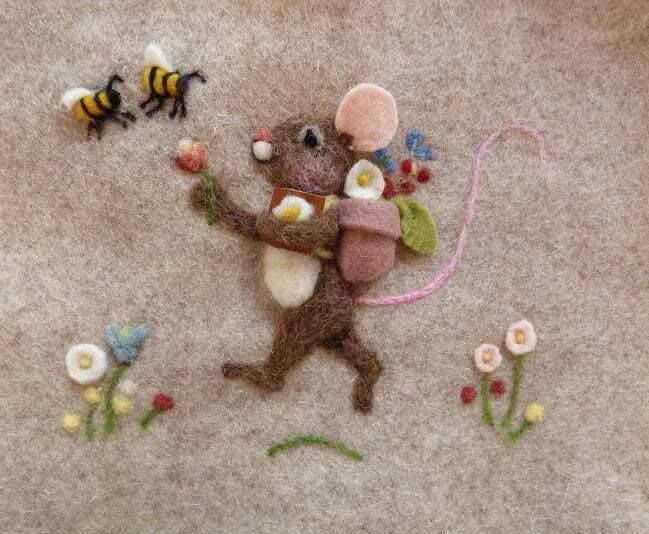 This needle felted hedgehog is on his way to have tea with his friend the Hare, What is is bringing in his basket? 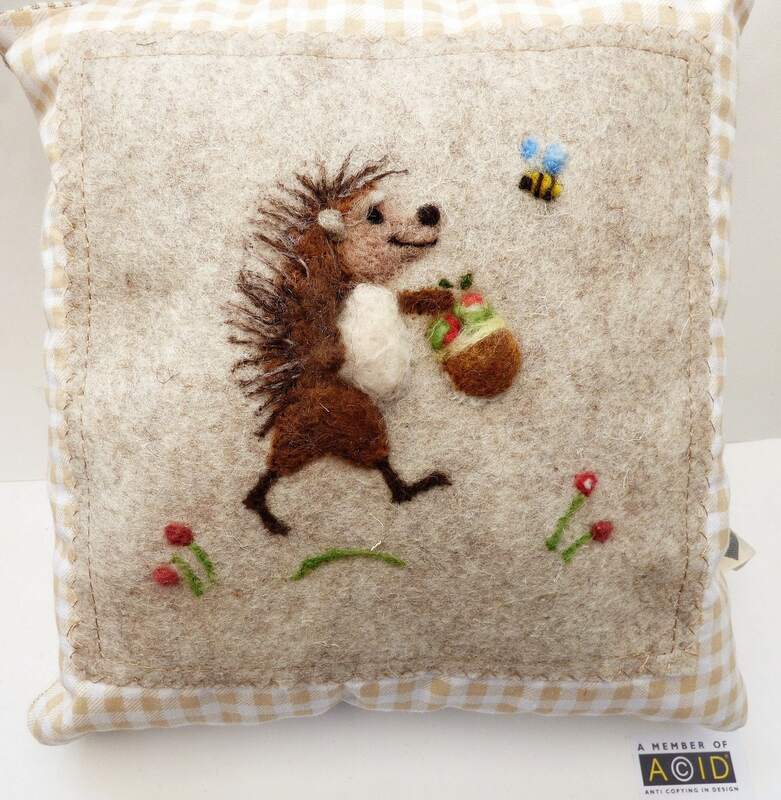 This pillow has a 3d needle felted hedgehog with bees, flowers and basket. He is needle felted with wool in full relief so his ears and arm are 3D. 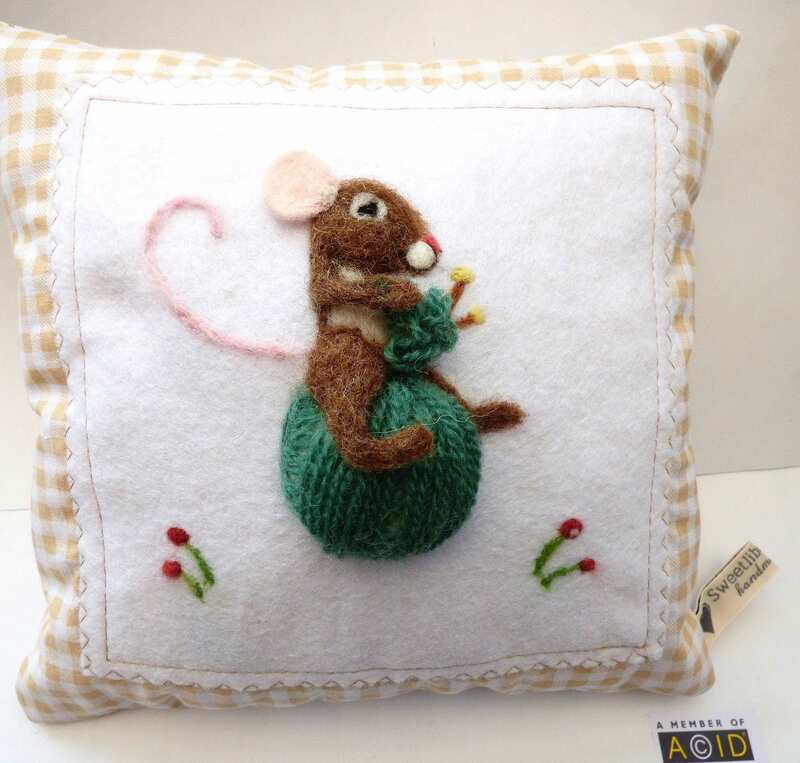 The centre is a beige wool felt and the border a cream/oatmeal gingham. 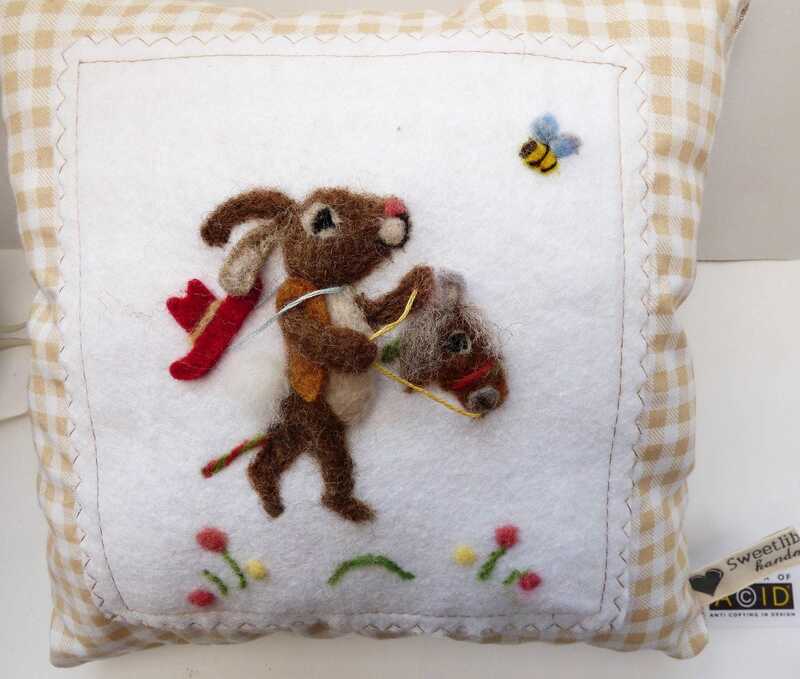 The cushion is approx 16 cm by 16 cm (6x6 inches). There is a larger size available too.